Workshop date: Oct 4, 2018. The INTESA workshop aims to give an up-to-date picture of intelligent embedded systems architectures and applications with emphasis on Smart IoT and Cyber Physical Systems, including hot topics such as accelerating deep learning. 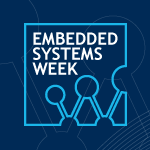 The workshop covers several aspects, from the hardware related ones to embedded software and application issues, being complementary to most of the topic addressed during the ESWEEK. From the market standpoint, scientific progress in this field are considered crucial to fuel a widespread diffusion of the potential benefits offered by the Industry 4.0 perspective. The goal of the event is to create cross-fertilization of ideas between application developers and platform providers with the participation of a mix between academic and industry people.